I don’t like to change my deodorant. I was stuck with one for more that four years and I regreted to try anything else. A few months ago I was sent a huge package by Garnier. It was full of products and there was a deodorant in there…Hmmm…I thought that I already had a negative review about a product! I was absolutely sure that I was going to hate it and that it wouldn’t work for me. But I decided to give it a try. 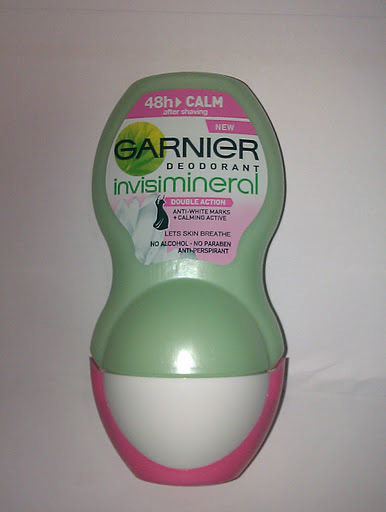 I am talking about the Garnier Deodorant InvisiMineral- Calm. ”Invisi-Mineral Calm is double-action with 48 hours protection that leaves skin feeling soothed after shaving and no white marks on your clothes”. My first impression was about its package. A little curved bottle which is easy to hold and lightweight as well. Simple and girly at the same time. 50mL of product and expiration date 12 months after opening. Not bad at all, but these are just details that don’t tell me nothing about the product. I have the roll-on (there is a spray version as well). I believe that roll-on deodorants are better than sprays or sticks, at least for me. I am using it for more than a month and I can confirm that the Invisi-Mineral Calm doesn’t leave white marks on my clothes! That’s a big yeah for me! I hate it when I have white marks on my dark clothing! What really impress me was that this little product does everything that promises and everything that I want! It prevents sweat and lasts for long. I can’t really tell you if it lasts dor 48hours, as Garnier claims, ’cause I take a shower everyday and even twice a day. But I can tell you this deodorant keeps me fresh till my next shower! 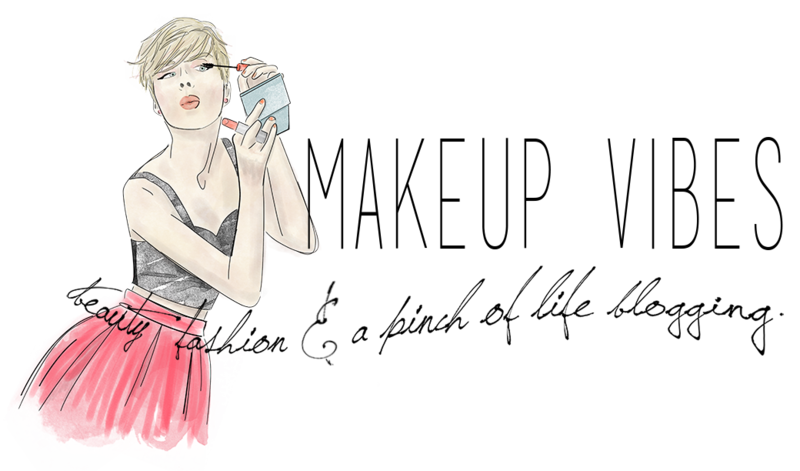 It has a rosy scent which is really discrete and refreshing. During the day you won’t notice that smell, but it’s there to offer you a fresh feeling. I have noticed that it absorbs fast and easily. I nearly don’t have to wait to get dressed. I hate it when my deodorant needs 5′ to get absorbed. Last, but not least, the Invisi- Mineral Calm is enriched with allantoin that help skin to feel soothed even after shaving. I hadn’t any irritation when using this deodorant after shaving. That’s a plus, don’t you think? 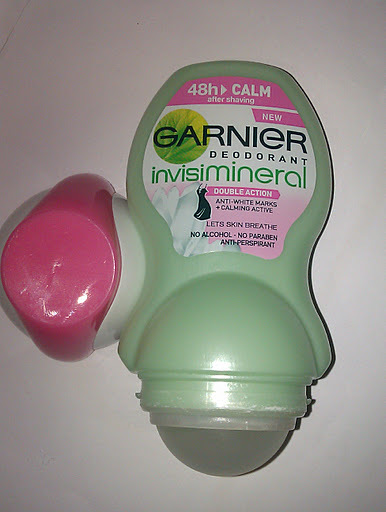 As you can easily understand, the Garnier Deodorant Invisi-Mineral Calm really convinced me! Maybe more than my last deodorant… Even if I got this from Garnier, I would definetely buy it once it is finished! And, who knows, I might have found my new adorable deodorant. Have you ever tried the Invisi-Mineral Deodorant? If yes, which one? Do you prefer roll-on or spray deodorants? « SIGMA FREE WORLDWIDE SHIPPING!! !JUST FOR TODAY! Thanks for your comment! Try it and let me know what you think. I am currently using the Dove one,though. Yes, Korina is my real name. It’s true that it’s an uncommon name, but I know a few girls with the same name! Where are you from? I was really glad I bought this product, it lasts long and as I was going on a roadtrip, it was a real helper !